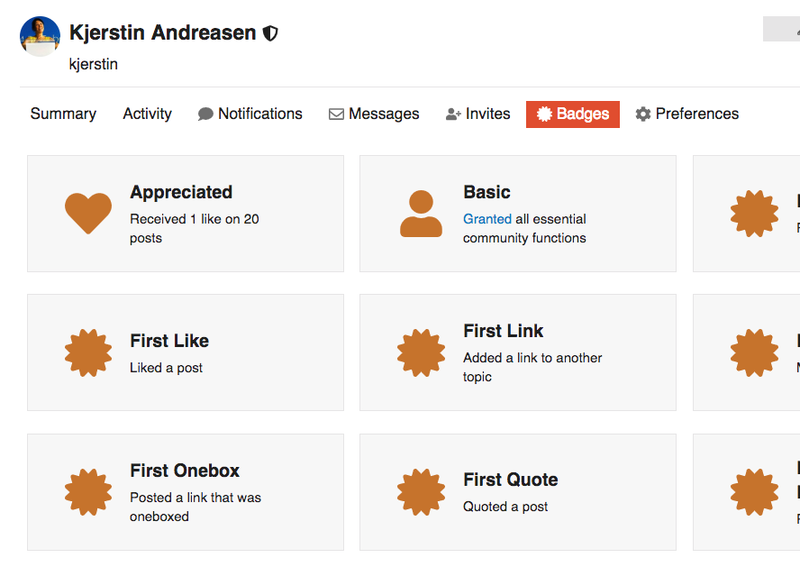 To find the badges you’ve received, click on your profile picture, then your name. Here you will find the “badges” tab. Click on the tab to see the badges you have received. 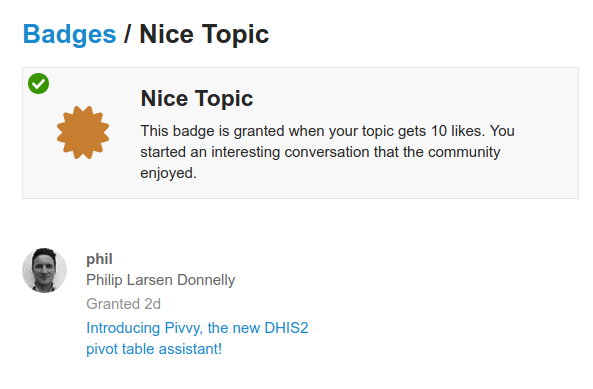 I don’t deserve this badge (for posting the Pivvy announcement for @ben)!